On Tuesday 10th October, Hermès and Design Manchester will host an exclusive event for 50 of Manchester’s talented young designers and creatives at the Hermèsmatic standalone concept at 31 King Street. 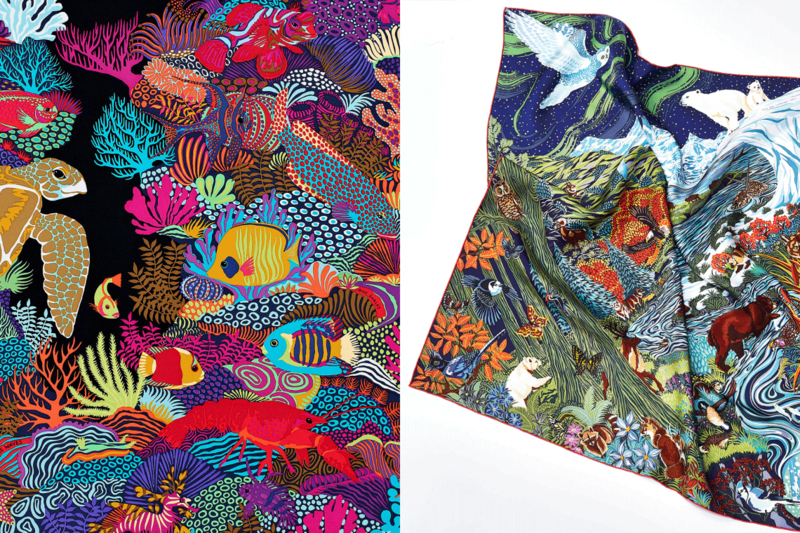 There will be a talk with Alice Shirley, an artist who has been collaborating with Parisian leather goods company Hermès since 2012, creating designs for silk scarves, enamel jewellery, beachwear and Home. 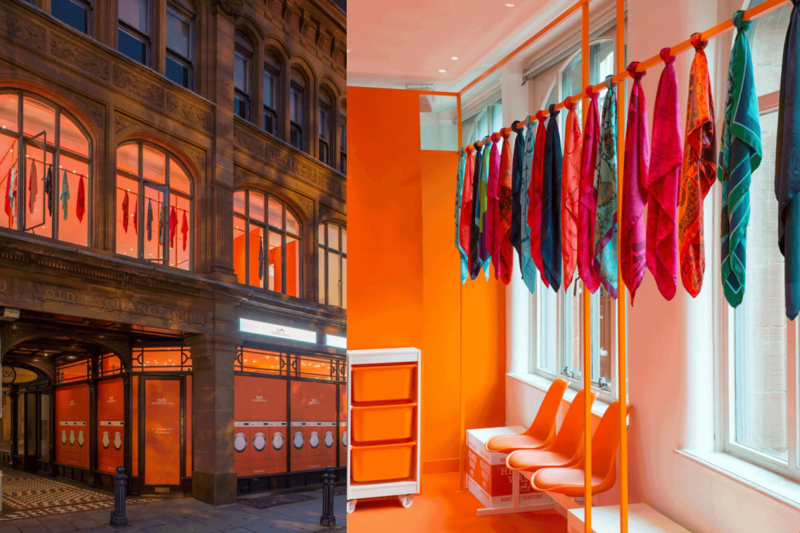 Hermèsmatic, a playful standalone concept designed to breathe new life into pre-loved Hermès silk scarves is making its UK debut in Manchester. This fun and interactive experience gives you the chance to fall in love with your Hermès silk scarves all over again through a rejuvenating dip-dye in the Hermèsmatic washing machines. 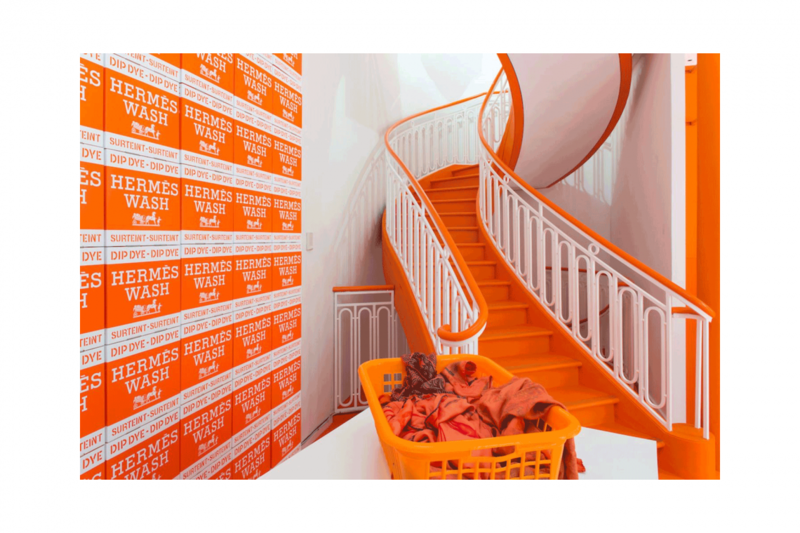 Alternatively, visitors can simply find out more about the iconic brand and take part in the launderette’s silk styling workshops, where specially trained Hermès stylists will dip into the Hermès scarf collections and show you a myriad of ways to wear an Hermès scarf. Hermèsmatic is open from Thursday, 5th October 2017 to Thursday, 12th October 2017 at 31 King Street, Manchester having previously appeared in Paris, New York, Kyoto and Dubai.